Plot: Based on the true story of survival, a young couple's chance encounter leads them first to love, and then on the adventure of a lifetime as they face one of the most catastrophic hurricanes in recorded history. Starring: Shailene Woodley, Sam Claflin, Grace Palmer, Jeffrey Thomas. 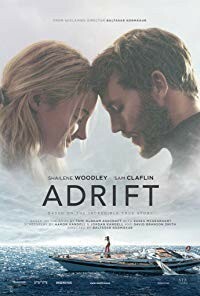 distributed by STX Entertainment «Adrift» in the US movie theaters released on June 1, 2018 and has grossed over $49 million worldwide; dvd and blu-ray release date was set for September 4, 2018. Rent from Netflix and Redbox from September 4, 2018. «Adrift» in the UK released in movie theaters on June 29, 2018. The movie estimated to release on dvd and blu-ray some time in September or October 2018.